This guest post was written by Bill Gassett, a Realtor with Re/Max Executive Realty who has been helping people move in and out of the MetroWest Massachusetts area for the past 26 years. Connect with him on Google Plus. You use Pinterest as part of your strategy to sell homes, which is the good news, but are you really using it to its full potential? 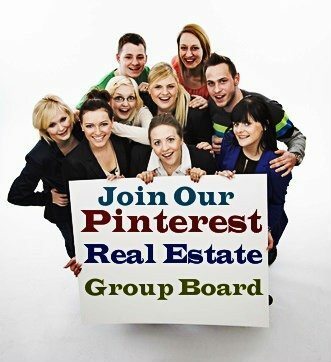 Unless you are integrating group real estate boards into your Pinterest usage, the answer is no. Group boards can be your secret to increased followers, improved engagement, and reaching a larger audience with less effort. That means more traffic to your website and potentially more clients coming your way. Sounds too good to be true, right? It’s not. With a smart group board strategy, these things will be yours. Having a social media content promotion strategy is an important aspect of using this channel properly. You can easily identify a group board because it has a little icon that looks like three little heads at the top of the board. You still need to make sure that everything you are pinning provides value to the follower. Every pin should educate, inspire, solve a problem, or show something desirable. Your main goal is for something to be repinned. Make sure every single image is interesting and makes sense for the average pinner to include on one of their boards. The most successful real estate pinners will pin things they know have the best chance of getting repinned multiple times. The goal here is not be average but exceptional! If you are the owner of a group board, your responsibility grows because you need to keep a constant eye on what gets pinned to the board. The last thing you want is to see things getting added to your real estate board that are considered spammy or maybe not even appropriate. Remember that you own the board and people associate lousy content with those who are part of the board, especially the owner! A group real estate board is more than likely not going to be a success if it is composed of listings. You are not going to see many people care to repin your listing that’s in a town they don’t care about. This is the most important aspect to determine your success with group boards. If you select the right people to collaborate with, you will reap the rewards tenfold. However, if you choose the wrong people, you may actually hurt your Pinterest presence. Look for people who share a similar audience as you, are considered experts in their industry, and have a large number of followers. To add someone to a group board, you simply have to enter their name or email address in the “Who can pin?” field when creating the board. For their names to autopopulate, you must be following at least one of their boards first. Be picky. Only invite people to join your group board if both parties will benefit from the partnership. You can also offer to join someone else’s group board as an industry expert. A lot of people have real estate boards, and they would love a good Realtor as a contributor. If you get invited to join someone else’s group board, you don’t have to say yes. Again, the pins from the group board will influence how your business is viewed. I have received a few invitation to group boards that I have not accepted yet because the groups are really small. I prefer to see how they take shape and if they become successful. If I see that is the case, I can always jump in and accept. You can see all of your group board invites from the control panel drop-down in the upper right corner on Pinterest. Anyone can take themselves off of your group board at anytime. Make sure you are helping your contributors as much as they are helping you. If you think they have pinned something good onto the board, you can do a few things including: commenting saying you enjoyed their article or picture; you can, of course, like it; and, most importantly, pin it to another board or boards you have. You can take yourself off of another group board whenever you want. If it’s hurting your brand, click the “Leave” button with no hesitations. Never forget to check up on your group boards to make sure your collaborators are staying true to your brand and pinning appropriate content. At the top of group board you will typically see a set of rules to follow. I would make sure you do otherwise the owner could decide to remove you. Being part of a real estate Pinterest board can be one of the better tools for your real estate business since the conception of social media. As long as you choose your collaborators wisely, stay active on your group boards, and ensure every pin is repinnable, you can reap the rewards from your efforts. You will get a lot more followers. Think about it: Whenever anyone clicks the “Follow All” button on one of your contributors, they will also see your pins from the group board. If you are part of the right group boards, this can equate to a tremendous new audience. The more followers you have, the more repins you will get, and the more people will see your pins. This is directly related to how many visitors you get to your website and could impact whether or not you obtain a few clients from Pinterest. I can tell you from personal experience that Pinterest has been an excellent source of traffic to my blog. When you invite someone to pin to one of your boards, they will suddenly be more interested in what you have to offer. It can be strategic to ask people to join a board just to have more interaction and engagement with them. You have to do less work. Group boards are kind of like autopilot for Pinterest. As long as your partners are active, your followers and repins will increase with very little effort on your part. At the moment I own one of the largest real estate group boards on Pinterest. If you are an avid Pinterest user and think you are worthy of pinning exceptional real estate content, ask for an invite to join! Pinterest is one of the fastest-growing and most popular social media platforms out there right now. It is growing in popularity by the day. If you are a Realtor reading this and have stereotyped Pinterest as a site where a bunch of housewives hang out and share ideas about shoes and curtains, then you are sadly mistaken. You can use Pinterest as one of the ways of increasing real estate sales through social media along with quite a few others. 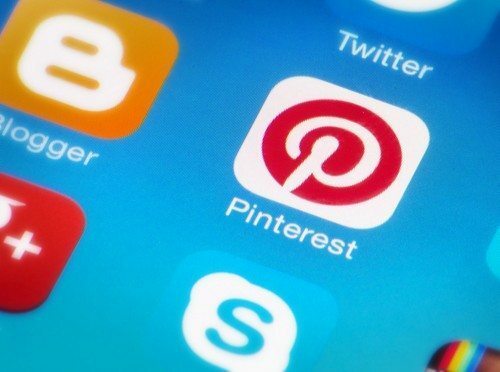 I consider Pinterest to be one of the big four social media platforms that are a must for a Realtor, alongside Google Plus, Facebook and Twitter. What you may not realize is that Pinterest is a real powerhouse of exceptional content. In fact, I have seen numerous exceptional social media and search engine optimization articles that have offered a wealth of information to help my real estate business! Much like Google Plus being a great platform for real estate, the same holds true for Pinterest. If you underestimate the power of Pinterest as a social media platform, there will disappointment on your part when you start to see local real estate agents showing up for competitive keywords searches surrounding real estate with Pinterest website addresses. If you have not gotten on the Pinterest train, now is the time! There are already 70 million users and that number continues to grow.